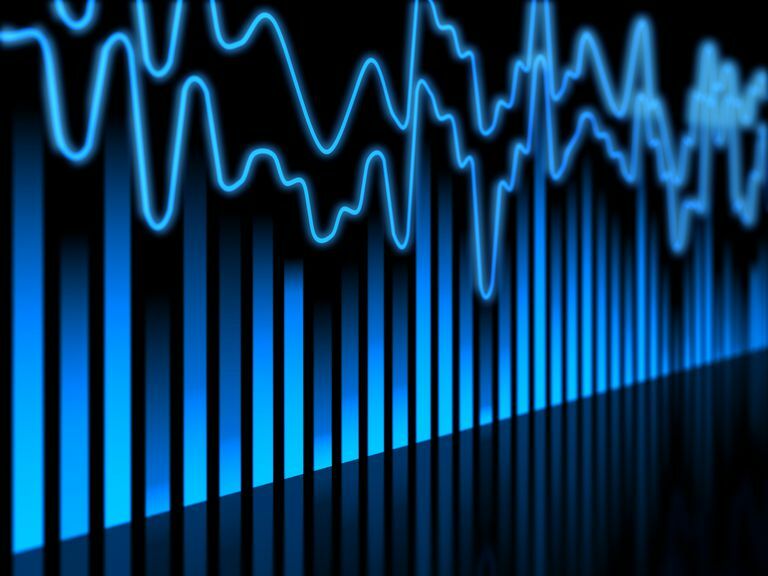 What Is Frequency Response and How Does It Affect Your Music? Most audio products you purchase have a frequency response listed as one of the standard specifications. Frequency responses are available for speakers, headphones, microphones, amplifiers, receivers, CD/DVD/media players, mobile players and devices, and any number of other audio devices or components. Some manufacturers tout having a wide frequency range, but such numbers tell only part of the story and aren't necessarily an indicator of overall sound quality. A set of headphones may list a frequency response specification of 34 Hz - 20 kHz +/-3 dB, but what exactly does it mean? It indicates that sound between 34 Hz and 20 kHz is accurate within plus or minus 3 decibels. A frequency response, which is often displayed on a graph or chart as a curve, describes how a device responds to sound across a range of frequencies. Frequencies are measured in hertz (Hz) along a graph's x-axis, with sound pressure level (SPL) measured in decibels (dB) along the graph's y-axis. Most products list specifications that cover a minimum 20 Hz (lows) to 20 kHz (highs), which is the generally accepted hearing range for humans. Frequencies above and below those numbers are often referred to as a wideband frequency response and can also be important. The measurement of decibels indicates the maximum variation (think of it as a tolerance or a margin of error) of volume level and how well a device remains uniform from the lowest to the highest tones. A range of three decibels is common in such frequency response specifications. You can take two, nonidentical speakers with the same frequency specifications and end up hearing music played differently on each. This is possible because manufacturers sometimes use hardware or software designs that emphasize certain frequency bands over others, not unlike how you can make manual adjustments with a stereo equalizer. The amount of variation describes how the audio is affected in terms of accuracy. Purists often seek products and components that deliver a neutral — or as close as possible — frequency response. This results in a "flat" sonic signature that uniformly preserves the loudness relationship between the various instruments, voices, and relevant tones without overemphasizing or underemphasizing any particular frequency band(s). Essentially, music can be enjoyed naturally as originally recorded since there is little-to-no forced change to the reproduction. If a person so chooses, further tuning with an equalizer is still an option. Everyone is entitled to personal preferences, so many speakers, headphones, and various components offer their own unique take on things. For example, a "V-shaped" sound signature boosts the low and high frequencies while recessing the midrange. This can appeal to people who listen to EDM, pop, or hip-hop music genres that express a lot of bass and sparkly treble. A "u-shaped" sound signature is similar in shape but with frequencies adjusted to a far lesser degree. Some products go for a more "analytical" sound that boosts the highs and sometimes the midrange while recessing the lows. This can be ideal for people who find themselves listening to classical or folk music genres, among others. A set of "bassy" headphones or speakers boosts the lows while recessing the highs and midrange. Sometimes a product exhibits a sound signature that is a hybrid of one or more types. The overall frequency response helps but isn't the only element that determines how sound is perceived with respect to separation of instruments and detail of individual elements. Products that exhibit sharp dips or spikes in frequencies can lead to listening strain or fatigue. The speed at which notes play and linger — often characterized as attack and decay — also makes a significant impact on the experience. Product types are equally important since headphones and speakers with the same or similar frequency responses can still sound different.